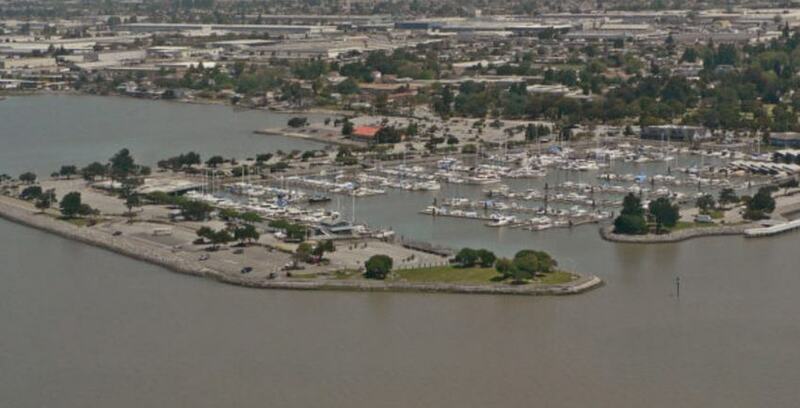 Are you considering moving to San Leandro, CA? This article is intended for people who are thinking of such a move. Of course, moving is a big decision and you would want to do your research first, so we compiled this information for you. How large is the population? About 84,000 people live in San Leandro and they are a diverse group. About 27% are white, 27% are hispanic, 27% are asian and 12% are black. A number are also 2 or more races. in San Francisco, which is $1.1 million. It isn’t common, but there are some condos in San Leandro for less than $400,000. If you are open-minded, there are also some mobile homes for $250,000 or maybe a little less. So, if you live in San Francisco and can’t afford a home, San Leandro might be a viable alternative. San Leandro also has a marina, and it might be possible to rent a liveaboard slip there, although the number of these spaces is limited. If you had a 30-foot boat there, the slip fee might be about $350 a month, with another $350 for the live-aboard option. If your prefer less urban density and noise than what is available in San Francisco or Oakland, moving to San Leandro might be a good choice for you. Families would probably appreciate the lower housing costs, and single people would as well, but there is also plenty of culture in the East Bay–particularly in nearby Berkeley. Moving to San Leandro might appeal to young adults who want a chance to have a starter home in order to build up some equity. It might also be an option for older adults who aren’t able to afford housing in San Francisco. According to Great Schools, the public schools are rated about average. For adults, Merritt College and Chabot are two community colleges located near San Leandro. Mills College is also in Oakland, which is not far away. Cal-State East Bay and Unitek are in Hayward, and San Leandro is home to Carrington College. Of course, there are many community colleges in the East Bay which are accessible by car and/or BART. Laney College is also fairly close, as is Berkeley City College, for example. UC-Berkeley and UC-Santa Cruz are in the Bay Area, so there is high-quality education within driving distance of San Leandro. San Leandro has about 23 parks, so there are plenty of open spaces within this medium-sized city. A number of them allow dogs to run off leash. There is also a park at the marina with very rich views of the bay and you can see some planes taking off and landing at the Oakland airport. San Leandro is located near freeways and has its own BART station; it is also very close to the Oakland Airport. City buses are available too. There is also an Amtrak station in Emeryville, which is not far away. The historic BAL theater has live shows and some movies if you like to experience entertainment in that kind of setting. The Century San Leandro Bayfair 16 is a more contemporary venue for watching movies, if that is more to your taste. San Leandro has a number of dance studios too, like the DC Dance Center, Dance Therapy, and the Conservatory of Classical Ballet. Are there any golf courses? There are several golf courses in San Leandro, including one at the Marina and the Tony Lema site. Lema was a professional golfer who was born in Oakland and racked up over 12 PGA tour wins, including a major. Are there any other sports? The city of San Leandro has a youth sports program, including fall football and specialty summer camps, for example, baseball for a variety of ages. Are there churches or temples? There is at least one Hindu temple: Badarikashrama. There is also one or more synagogues, for example Beth Shalom. Most San Leandro adults typically vote for Democratic politicians, the breakdown is over 60% to 30% or less Republican voters. Moving to San Leandro from Berkeley would be a change, but perhaps not too shocking. What are some fun things to do? There are also some ice rinks in Oakland, which is very near San Leandro. Moving to San Leandro might appeal to those people who are living in San Francisco and want cheaper housing, but still want to be able to ride BART. People who move to the Bay Area for jobs, also might investigate moving to San Leandro, because it isn’t as big as Oakland, and it still has some culture. It also is located near many of the places that people like to visit. San Leandro has a fascinating history; the Ohlone were native people who lived there several thousand years ago. Spanish settlers arrived in the late 1700s, and there was a large group of Portugese who made San Leandro their home as well. Yes, we have a storage facility there called Peralta Self Storage, if you need storage. What is near San Leandro? So, after taking in all this information, are you still interested in moving to San Leandro?